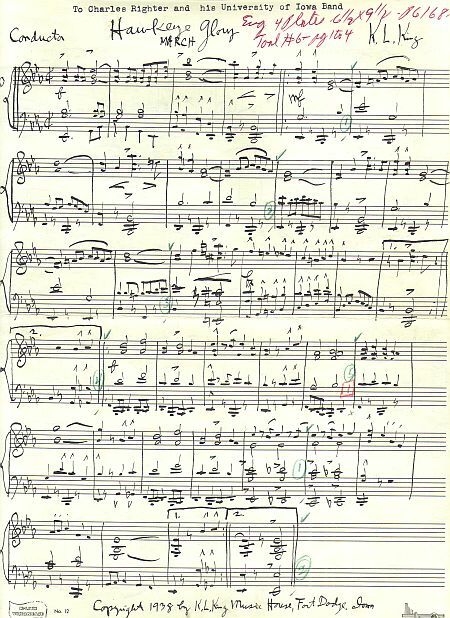 Typically, the lower part of the receipt, written on King Music House stationery, was torn off and kept by the composer, leaving the top as a record at the K.L. 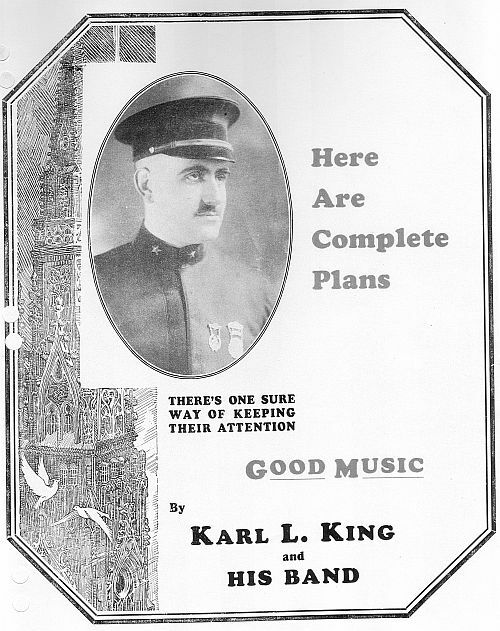 King Music House. 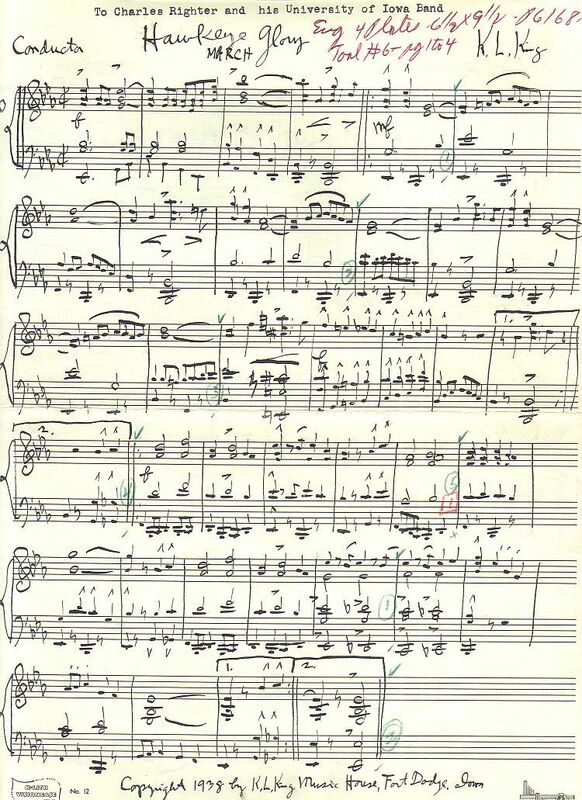 This was dedicated to Charles Righter and his University of Iowa Band. 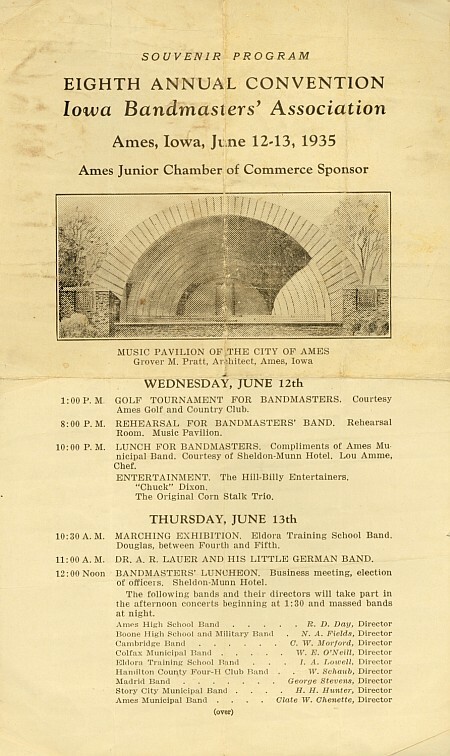 The dedication service for the Ames Bandshell, or “music pavilion" was held June 13, 1935, to coincide with the Eighth Annual Iowa Bandmasters Convention held in Ames. 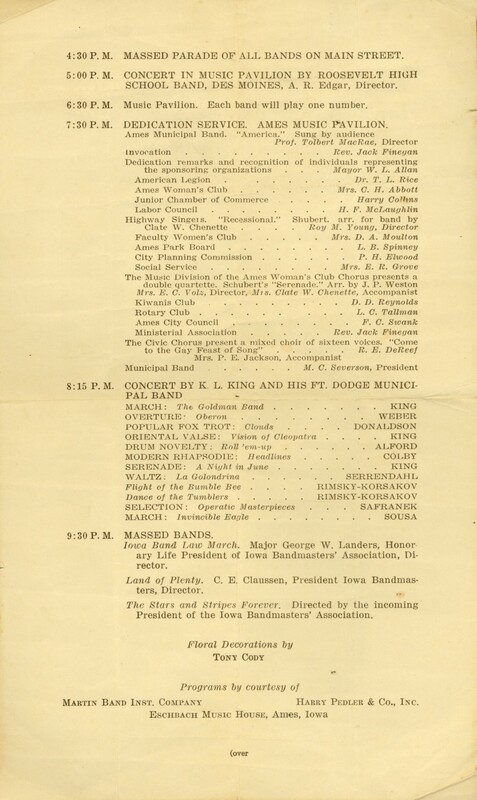 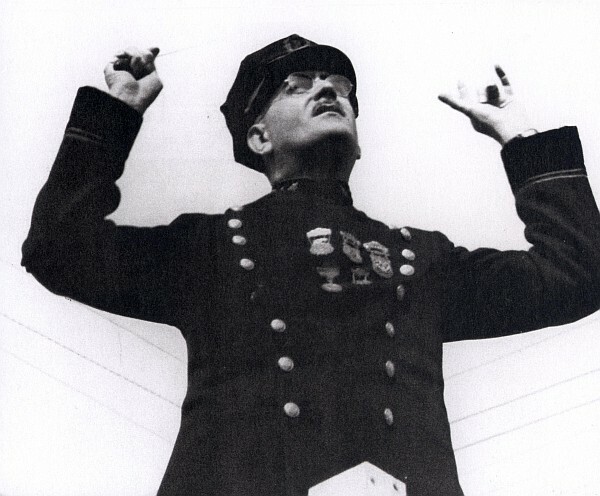 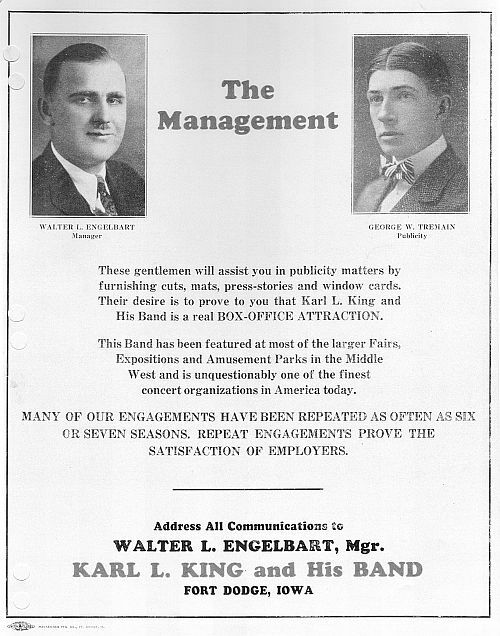 A record 10,000 attendees were treated to an hour-long concert by the Fort Dodge Municipal Band under the direction of legendary bandmaster Karl King, followed by a performance of three numbers by thirteen massed bands led by Major George Landers of Clarinda.